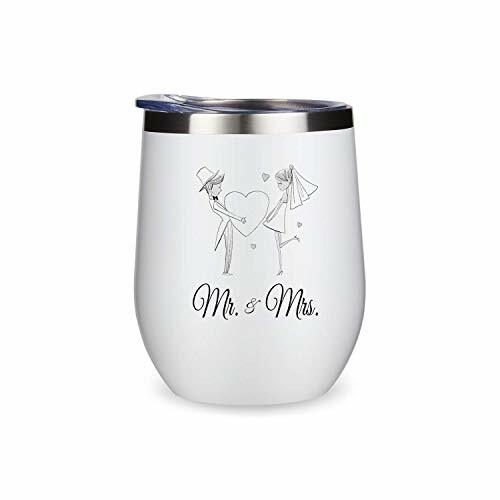 Wedding Gift - 12 oz Insulated Stainless Steel Wine Tumbler. Great gift for brides and couples! SATISFACTION GUARANTEED: We are a small business that prides ourselves on fun and unique gifts and most of all, happy customers .If something isn't right, please contact us through your order page so we can make it right!